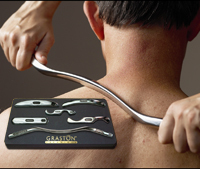 Graston Technique® is an interdisciplinary treatment used by nearly 5000 clinicians-including athletic trainers, chiropractors, hand therapists, occupational and physical therapists. 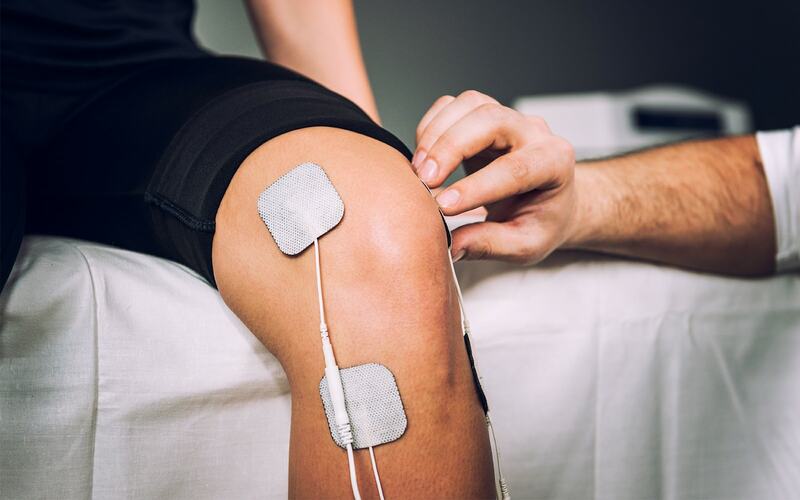 This technique is utilized at some 550 out-patient facilities and industrial on-sites, by more than 90 professional and amateur sports organizations, and is part of the curriculum at 21 respected colleges and universities. These instruments, much like a tuning fork, resonate in the clinician's hands allowing them to isolate adhesions and restrictions, and treat them very precisely. Since the metal surface of the instruments does not compress, deeper restrictions can be accessed and treated. Just as a stethoscope amplifies what the human ear can hear, these instruments significantly increase what the human hands can feel. Separates and breaks down collagen cross-links, and splays and stretches connectivetissue and muscle fibers. For more information, please visit www.grastontechnique.com or consult with our Woodbridge chiropractor, Dr. Nick Andolina, of Andolina Chiropractic & Rehab.